Cook up a feast with these powerful, 4 burner barbecues. 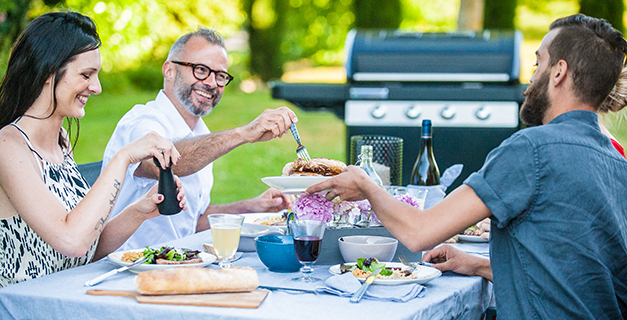 Featuring efficient and high-performance stainless steel tube burners together with a large, enamelled cooking surface these barbecues are perfect for preparing a wide range of al fresco meals. The included Campingaz® Culinary Modular system provides keen grillers with even greater cooking versatility and Even-Temp™. Cleaning is quick and hassle-free thanks to the Campingaz InstaClean™ System. 4 Series Classic LS, 4 Series Classic L, 4 Series Woody L, 3 Series Classic L, 3 Series Classic LS , 3 Series Woody L.